Letter from Miss Berry to Bachrach Photographers requesting two dozen copies of her picture made from the requested negative. 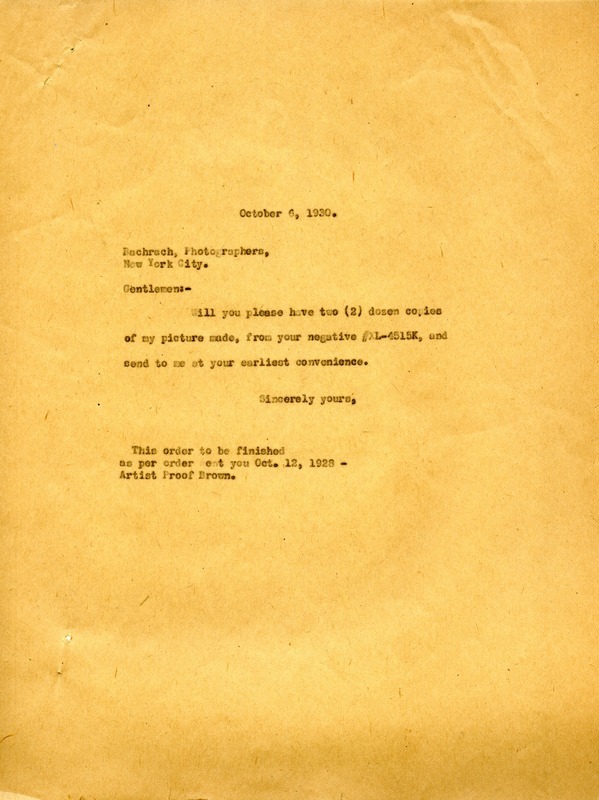 Martha Berry, “Letter to Bachrach Photographers from Martha Berry.” Martha Berry Digital Archive. Eds. Schlitz, Stephanie A., Sherre Harrington, Meg Ratliff, Bob Williams, et al. Mount Berry: Berry College, 2013. accessed April 19, 2019, https://mbda.berry.edu/items/show/11696.